Discussion in 'Fiddleback Forge Knives' started by Fiddleback, Jan 25, 2014. Personally speaking, here are my thoughts .. The preview is up for quite a while and all you really need to minimally recreate is the front portion where the knife you want is completely clear. e.g. Last Friday there were 3 Bush Hermits so it should be ok if you go over to create a new text message and type out 2016 0909 14  Bush Hermit w/ brown canvas and then Select All and Copy that text. You should have at least an hour to do this. I think this is your main concern though. Some folks have been very successful, including myself, with a phone and Tapatalk. Once the thread is open, you don't have to scroll all the way to the bottom reply box like you do on a PC. In Tapatalk, the Reply field is at the bottom of your screen so it should just be a Paste and Reply once the thread is open. Ahh, that would make a lot more sense then. I've only been skulking around here since Jan 2016. I live in Northern California, what time do you display available knives? What time do you post Friday's knives up for grabs? The preview can be posted as early as 1pm on Friday. The thread then gets unlocked at 3pm and the feeding frenzy begins. If you keep an eye on the "Well, it's Friday" thread, Phillip will usually give a heads up when all the Fotki pics have been uploaded. Btw, the times are all EST. I forgot to note that. 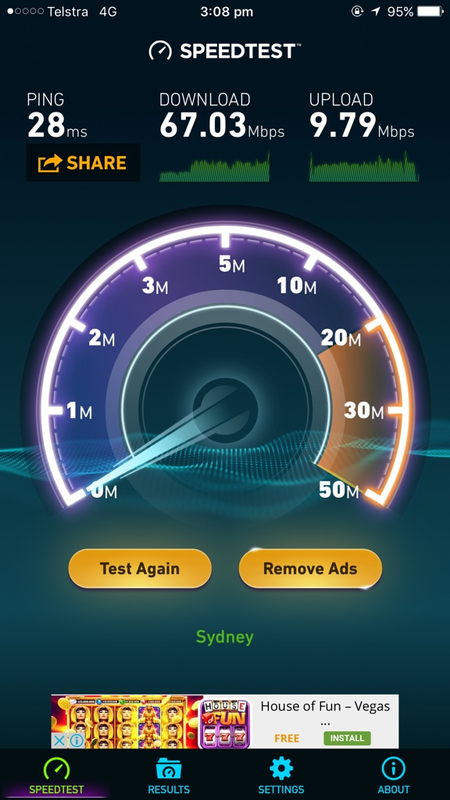 In this post, I'm using speedtest.net to get upload and download speeds. I'm also using terms that are as easy to understand as possible. Most of numbers listed in here are download speeds. At this writing, I have pretty much a brand new laptop that only has built in wireless network connectivity and there is no port for a wired network connection. The built in wi-fi adapter is supposed to support up to 100GB but I found that it only gives me about 35MB download speed. (yes, my drivers are up to date) I bought a USB network adapter so I could do a hard-wired connection into a USB port to see if I got any better speed, and I did! The USB adapter was getting about 95MB but only when I used the correct USB port. The laptop has one USB 2.0 port and two USB 3.0 ports. The 3.0 ports can basically support more speed. This past week, I upgraded to the next higher internet speed plan for an additional $10 per month, which is supposed to give me up to 200MB. Note that this is advertised as "up to" but its being shared with other customers and depends on bottlenecks along the way so speed could vary. In any case, I still can only get 95MB through my USB 2.0 port but with the adapter in the USB 3.0 port the speeds average between 155MB and 165MB. - Consider upgrading your internet plan speed/bandwidth and maybe shop around for different provider options in your area. - Compare the speeds you get between your wireless connection, your wired connection or among different USB ports if you have a USB network adapter. - Check what maximum speed your modem or router supports and consider upgrading because your end result is only going to be as fast as the smallest bottleneck. Question for some of the more computer savvy folks here. As of late, each time I attempt to reply/ post to a thread, it seemingly takes an unusual amount of time to register. For instance, my auction bid today (which would have been late anyway) took a good 10-12 seconds to post after I sent the reply. Now, this was on my mobile device over a carrier network, but I've even noticed a slow response on my home PC the last few weeks too. Is this likely a problem on my end or perhaps something with Bladeforums after all the attacks a couple months ago? Sorry if this has been discussed previously. If so, I'll go back through and search. Sergio this is an issue with Bladeforums after they moved servers. Sergio...my delay since the switch to servers is between a full 8 and 15 second count. Prior to the switch it was only a few seconds. Thanks guys. I just wasn't confident that it was entirely on my end. I've "prepped" my computer a couple times in the last weeks in the hopes of picking up post speed, but still experienced delays. I'm wondering if all users are running into delayed post times and that they just happen to have quicker connection speeds from the get go. testing....8 seconds to post the one word with images disabled today. Sometimes I have a delay and sometimes I don't. 7 second delay with my phone. And this is on cellular data. Might try that next time. That's pretty good on cell data! Poor Tony is around 2.79 download/ .93 upload but that slow speed is what helped him land the last post in the bid auction on Friday too, I think. 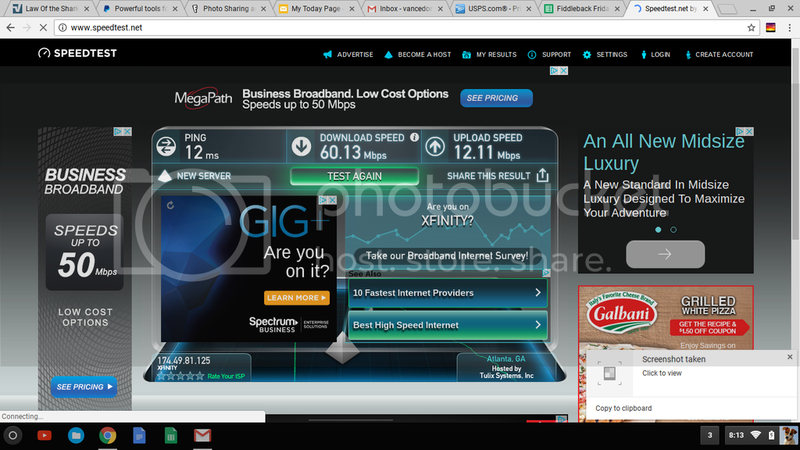 I think I'm getting about 150 download / 10 upload and I have an 8 to 15 second delay also. Last Friday, I hadn't posted anything in about 5 minutes but I came in at 17 because when I did go to post a message came up that I needed to wait X seconds before posting again. Somewhat annoying but it was an awesome Friday sale to watch. If I put on my IT hat, my guess would attribute the delay to maybe writing to the BF database. But I still think it registers when you hit submit and that the delay in coming back may not matter.